Every day we create, download and save hundreds of pictures. But when we need to find a given picture fast, we quickly discover that it's a very hard task. 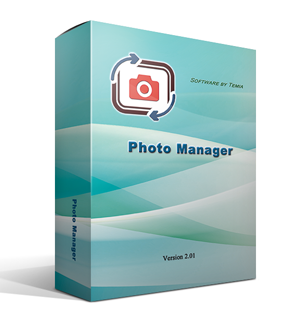 This program is designed to structurally save your pictures in electronic form. 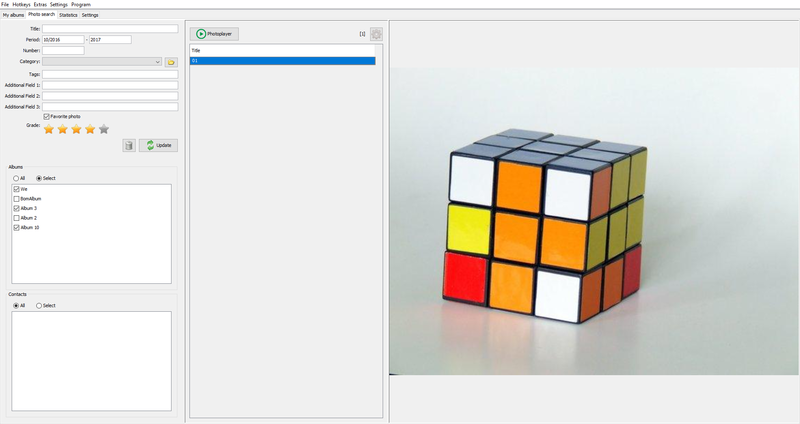 This program is a picture gallery with a simple and fast search function. The system supports formats as JPG, GIF, and PNG. An important feature of the program is that you don't need an internet connection to use it. But the most important aspect it's how easy it is to use it thanks to its multi-criteria search feature. 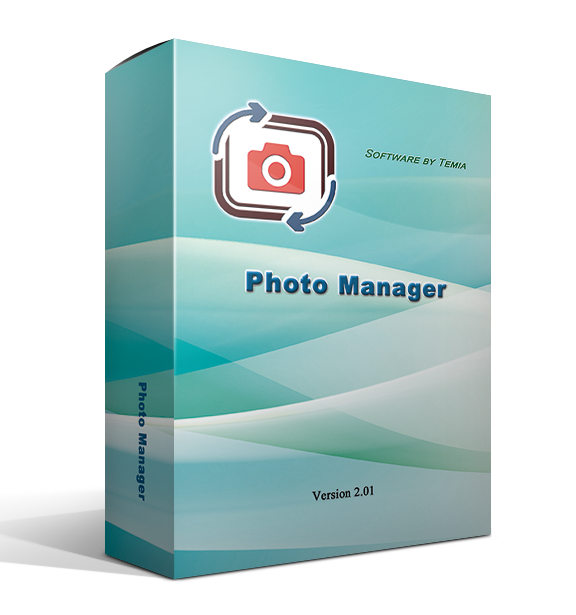 Another important aspect is that the program comes with absolutely no limits in the number of pictures that you can store. Any limitation is imposed only by your computer or electronic device. The program offers a simple way to organize your pictures through albums. Any album can be added to any category, e.g. "Birthday", "Holidays", etc. You can add to each album a note with the date and time of its creation, and you can enter a description too. You can also flag an album as "favorite". 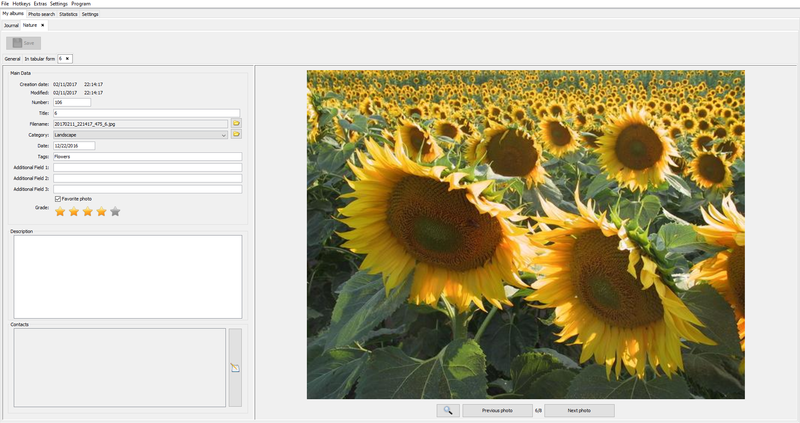 A picture added in the program can be archived in any category, as "Landscapes", "Portraits", and so on. You can add a description to help you in remembering little, but important details. You can give the picture a rating or flag it as "favorite". You can watch your pictures with a comfortable and completely customizable photoplayer. You can also tag your pictures to accelerate your search. You can search pictures using a number of parameters, like: name, date, category, tag. 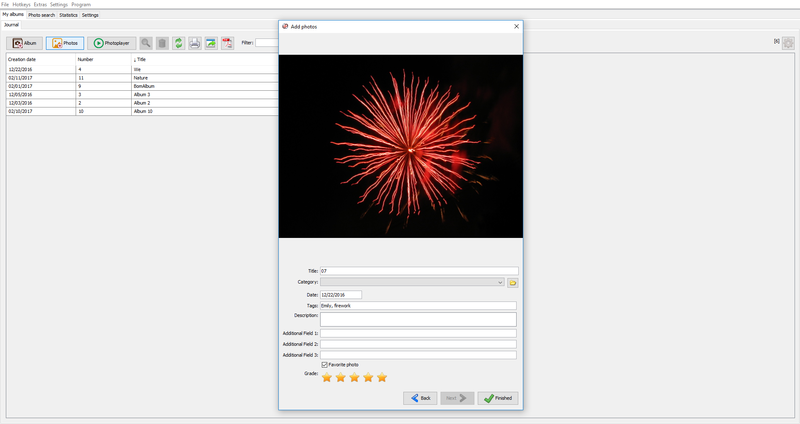 You can pick any of your "favorite" pictures, or select only pictures with a certain grade. The search can be executed within your whole gallery, or maybe just within a couple of albums. Notably, the program allows you to run a search for people automatically recognized in your pictures. 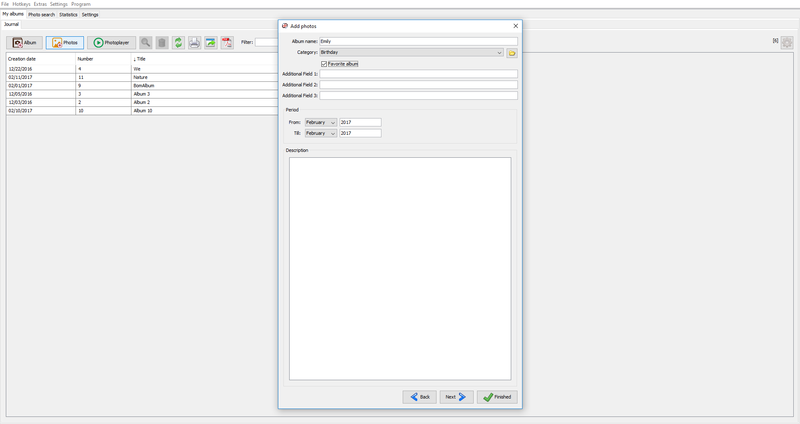 For a safe archiviation of your data, the program has a backup function. You can always transfer your data from your computer to another device, then, should you need so, import back your files into the program.